The Hannibal-LaGrange University Art Department is currently presenting the 2015-16 Student Art Exhibit. The exhibit features the work done by students throughout the 2015-16 academic year. A variety of media will be featured at the exhibit including traditional painting and drawing, photography, sculpture, ceramics, computer art, and graphic design. 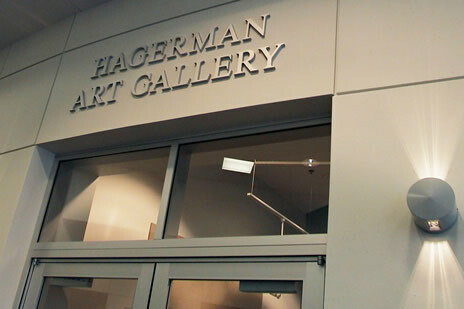 A reception for the student artists will be held Friday, April 22, at 6:00 pm in the Hagerman Art Gallery in the Roland Fine Arts Center. For more information on the exhibit, contact Michael Chlebanowski, art department chair, at 573-629-3176, or via email at mchlebanowski@hlg.edu.